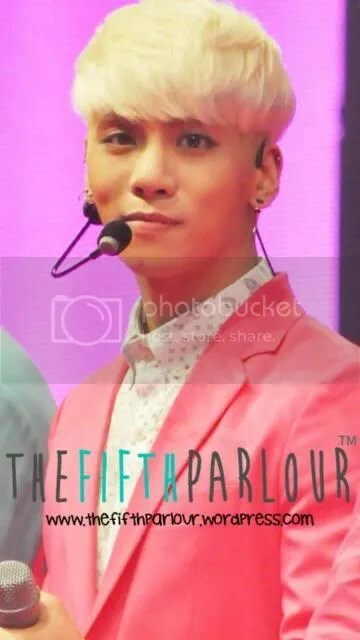 The fourth season of the Etude House Pink Play Party was held in Singapore last Wednesday,27 August, at Marina Bay Sands Convention Centre. 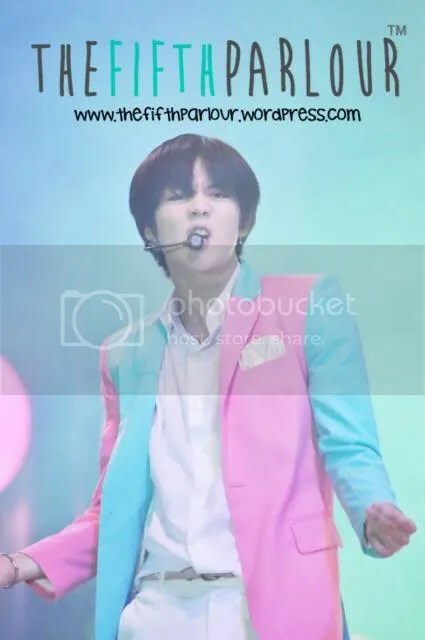 The main highlights of the show was Korean Boyband SHINee and Sulli (a member from Korean Girl Group f(x). Many fans queued up outside the convention centre early in the morning just to make sure that they were the first few in line to get a good standing spot for the concert. The Pink Play Party started with a short make-up tutorial from Kevin Laoshi. 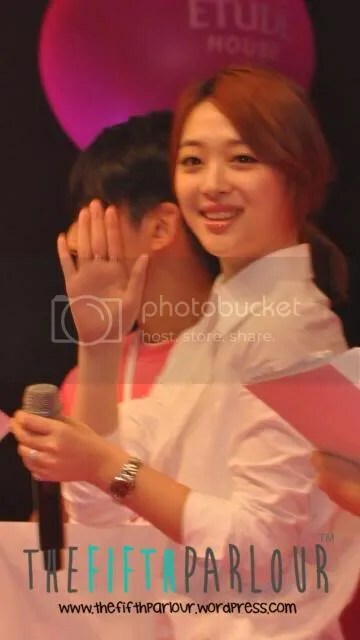 Shortly after, Sulli was called on stage to greet the fans which led to them screaming out loud in excitement as she walked out on stage. Minho, one of the members of SHINee was unable to attend the event due to his filming schedule. 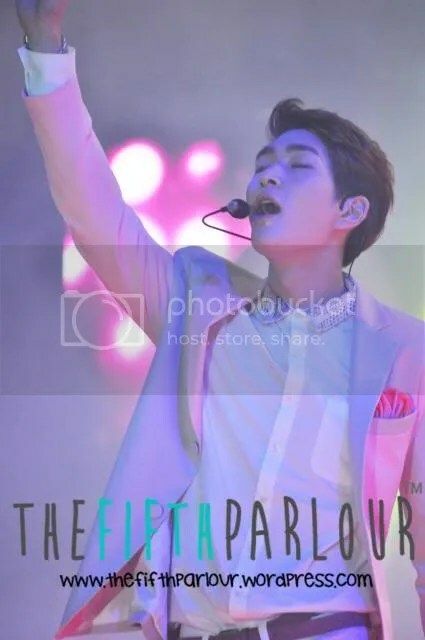 But, he was so sweet enough to have left the Singaporean shawols a video message and even an autographed Etude House Perfume for a lucky fan! 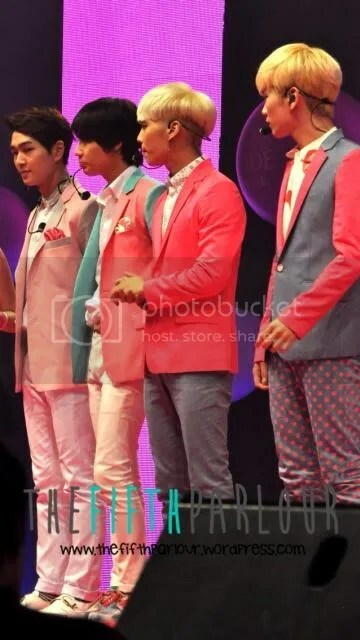 SHINee also interacted with the fans and mentioned how excited they were to be back in Singapore to meet their fans! A few lucky fans were picked through a lucky dip and they chosen to go on stage to receive a Etude House Hamper from SHINee (how lucky!). The boys also each took turns to describe their “dream girl” to the fans. SHINee kicked off the mini concert with their latest single, Dream Girl. You could hear fans singing along to the song and screaming the fan chants for the boys! The atmosphere at that current point of time was really at its maximum. 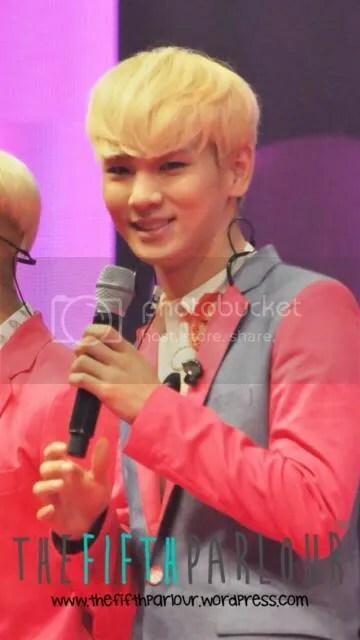 Asides from that, SHINee also performed Beautiful and Lucifer. Fans could not get enough of the charming boys that they kept on screaming encore! The boys then came on stage again and ended the mini concert with “Why So Serious”. A big THANK YOU to Etude House for holding the Pink Play Party in Singapore and hopefully the next one will be held in Singapore too!